Another day, another explosion, right? Just Cause 4 is back with yet another coup d’etat simulator, and this time we’re going to South America. The setting this time around is Solis, a massive country with a tyrannical regime that only understands one thing: explosions. If this sounds familiar, it’s probably because Just Cause has kind of been keeping things consistent for a while now. The premise is almost always the same, but we often see variation in the setting and some of the gameplay. I’d even go as far as saying that by now there’s only so much they can do with Just Cause as a series. But still, some people might be joining us a little late in the game, so let’s focus on Just Cause 4. For those of you unfamiliar with the series, Just Cause isn’t just known because every game sees you toppling a tyrannical regime. The series is probably better known for its insanely chaotic gameplay. The protagonist, Rico Rodriguez, has the ability to use his semi-magical grappling hook to latch onto everything and send him flying all over the place. He also has an infinite use parachute and a wingsuit for aerial locomotion. He can hijack and pilot every craft known to mankind, and he often zips from one to the other seamlessly. The guy is a one-man army *and* a one-man stunt team. Speaking of colors, I think I need to address the controversy surrounding Just Cause 4’s visuals. Yes, they are totally less dazzling than they were with Just Cause 3. But I’d like to also point out that it runs like a stream this time. And I don’t know that I’d go as far as saying they’re vastly inferior. Lackluster maybe, but I still think the diversity of Solis is shown brilliantly. This time around they’ve definitely gone for a much bigger and more varied map, and it’s a pleasure to explore it. In keeping with tradition, Just Cause doesn’t bog you down with the intro mission for too long. Before you know it you’re turned loose and tasked with wreaking all the havoc you can. In terms of destruction, you’ve got a veritable arsenal on you as usual. There are guns if you’re feeling traditional, and this time around I think they actually put some legwork into the gunplay. There are explosives if you’re feeling adventurous, and the series offers a ton of different ways to make things go boom. And finally there’s the grappling hook for when you’re feeling creative, and this is where Just Cause 4 really shines. The grappling hook evolved a ton in Just Cause 3, and they’ve built on that even more in 4. Now it has its own little skill tree and you can use it to really mix things up. The grappling hook can pull you to enemies more quickly, but in Just Cause 3 you got the ability to tether objects together and pull them closer. They kicked that up a notch by giving you the chance to add balloons to objects and even rockets if the mood strikes you. It really is a barrel of laughs. What is less amusing, however, is that Just Cause still can’t seem to figure out a mission structure that actually engages you. It’s a familiar open-world game problem, but I feel like Just Cause 4 has it worse than others. This time around things isn’t very different, sadly. Missions feel like ticking off boxes, and towards the end of the game, you’re overpowered enough to breeze through them. On the topic of breezes, Just Cause 4 has introduced a new weather system in the game. This is definitely my favorite new feature, as it makes the game feel that much more immersive. You’re not just struggling to get around Solis; you’re struggling to survive in it. Weather conditions can get pretty harsh, so make sure you’re not out paragliding. The free-roaming still feels like a treat because of how big the world is and how much there is to see and do. I see some gripes with other reviews on here, but I think Just Cause 4 still has a ton worth seeing. 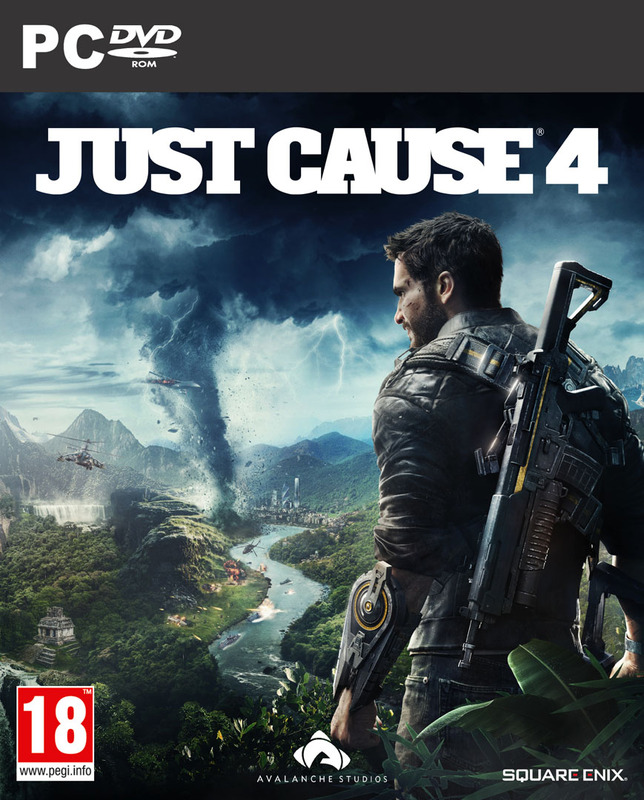 Just Cause 4 was reviewed using a PC downloadable code of the game provided by Square Enix. The game was tested on a machine running Windows 10, with an 8GB NVIDIA Geforce GTX 1070 fitted on a 4th Generation Intel i7 4790 3.6Ghz CPU and topped with 16GB of RAM. Just Cause 4 is also available on Xbox One and PlayStation 4 via digital and retail store releases. We don’t discuss review scores with publishers or developers prior to the review being published (click here for more information about our review policy). •	Arabic localization is hilarious! Just Cause 4 doesn’t make a lot of changes to the core gameplay of the series, but then again it doesn’t have to. It does make some welcome tweaks and additions, most notably to the grappling hook. The fourth installment in the series may not be as visually appealing as other titles in 2018, but it’s just as explosive and entertaining as ever.